In order to have a qualification recognised in the UK and be able to transfer credits between learning courses, educational institutions and occupations, the qualification must be accredited through one of qualification awarding bodies in the UK. These are regulated by the regulators - the Ofqual in England, DCELLS in Wales, CCEA in Northern Ireland and SQA (Scottish Qualifications Authority) in Scotland. Who are Qualification Awarding Bodies in the UK? More than 160 institutions in the UK have the power to award qualifications. In addition to institutions with degree awarding powers, there are also hundreds of colleges and other institutions which are not approved by the UK regulators, however, they provide courses which enable their learners to gain recognised degrees. These institutions are regulated by those who have the power to award degrees and even help with getting jobs in the UK. 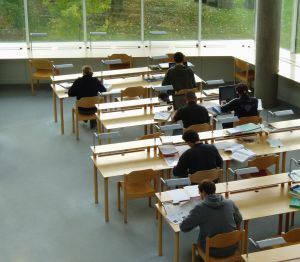 Since the mid-2012, higher education qualifications (university degrees) can be awarded only by institutions who have a minimum of 1,000 full-time higher education students of which a minimum of 750 are degree seeking students, while at least 55% of all students attend higher education programmes. Higher education students who are enrolled in institutions that do not have degree awarding powers may still gain a recognised degree if the institution they are studying at is a listed body. In contrary to recognised bodies who have the power to award degrees, the so-called listed bodies may provide courses that lead to a recognised degree. How Can Students Know whether the Institution is Recognised in the UK or Not? All qualification awarding organisations are listed on the official websites of the regulators. The most extensive one is the Register of Regulated Qualifications which can be found on the Ofqual official website. But as mentioned in the section above, the organisations can provide courses that lead to accredited qualifications as long as they are validated by the bodies which have recognised qualification awarding powers. What if the Institution is not Recognised or Validated by Any Qualification Awarding Body in the UK? In this case, it could be a foreign university that awards degrees which, however, are not recognised in the UK. Foreign higher education institutions in the UK are not regulated by the UK’s regulators and these cannot guarantee for quality of the programmes. Do Qualification Awarding Bodies in the UK Allow Credit Transfer to Foreign Students? The UK has completed the European Qualification Framework which will facilitate credit transfer, however, it is only one of six EU members to complete the cross reference of its framework. Whether credit transfer will be allowed or not depends on the completed qualification and the institution at which the qualification was acquired. But the approval of credit transfer also varies greatly from one organisation to another because they have the power to decide whether to recognise the accumulated credit points fully, partially or not at all.